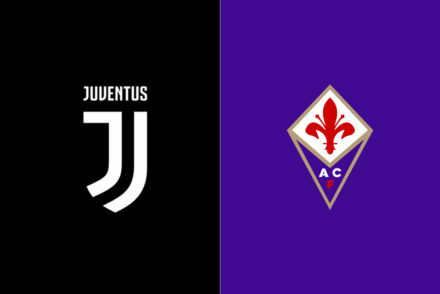 The best medicine after a bad loss is to play right away and redeem yourselves: thanks to the midweek match day, Juventus will have the chance to do just that. 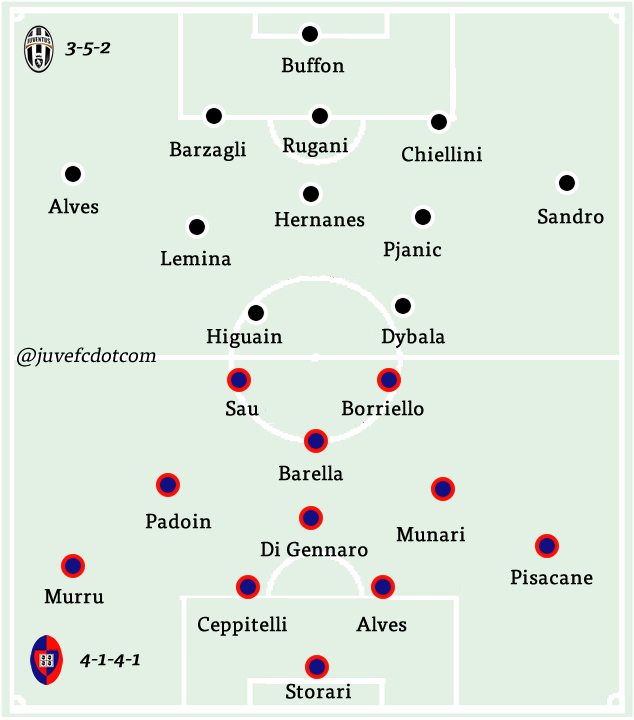 The performance against Inter was poor from every standpoint: technical, tactical, physical, character. Despite grabbing the lead, the opponents were superior in all facets of the games and quickly found the equalizer. It looked like Inter wanted it more and were more prepared, while maybe Juventus underestimated the enemy, which, to be honest, was very different, much much better compared to his previous games. The squad was outmatched. The two most glaring issues were the fragility of the defence and the position of Miralem Pjanic. BBC had a slow start last season as well, conceding way too easily: maybe it is related to conditioning, after all they are all big players, but keeping only two clean sheets out of five matches is subpar. It is noteworthy though that three goals came from set pieces and one from a bad pass in a very dangerous position, so it should be relatively easy to clean those up. Pjanic made his much anticipated debut as deep-lying playmaker and it did not go well. The center of gravity of the team was too low, he did not have many, if any, illuminating passes and he did damage only in the couple of times when he got close to the box. Of course, he is also not a physical presence in front of the defence. Despite being in a central position, he was not involved enough and was sucked into the mediocrity of the rest of the teammates. Putting him there takes away a number of chances that he could create in another position, so he will have to play much better to make it work. Despite some early reports indicating a switch to 4-3-3, Massimiliano Allegri should opt for 3-5-2 in this one as well. Leonardo Bonucci will not play and Daniele Rugani will take his spot as Medhi Benatia left the Inter game early with an apparent hamstring injury, whose severity has not been revealed yet. Dani Alves should reclaim his spot on the right: Stephan Lichsteiner scored but did not have a good game on Sunday. On the other hand, Alex Sandro was incredible and it is really hard to bench him now that he is on fire. Patrice Evra suffered a knee sprain in the last practice, hopefully it is not too severe. As it has been and as it will be for at least a month, the biggest conundrums lie in the midfield, which will inevitably continue to be heavily scrutinized after the deadline day debacle. None among the trio stood out on Sunday night and unfortunately Kwadwo Asamoah had that costly turnover that led to the Ivan Perisic goal. The coach pointed out that Sami Khedira has played seven games in a row, which is very rare for him, almost unprecedented: he will be spared and he has not been called up. At this point, despite lacking some of traits of the prototypical player in that position, vision and long range passing just for starters, Lemina is the best option in front of the defence. Allegri strongly supported Hernanes in the pregame presser, so he might actually have a chance to start. The coach also suggested moving Juan Cuadrado, Alves or Sandro in the box-to-box position as fallback option: they would add an element of speed, but it would a big gamble. Stefano Sturaro will be back in a bench role. Paulo Dybala could be given a day off: Allegri pumped the breaks on Marko Pjaca, saying that he needs more time, but he would be the most natural replacement for the Argentinian starlet. After being dropped against Inter, Gonzalo Higuain will return to the starting XI and a heavyweight couple with Mario Mandzukic is a legit opportunity. In case the early reports turn out to be correct, Juventus have the ability to field a very dangerous 4-3-3 featuring Cuadrado-Higuain-Pjaca frontline. 3-5-2: Buffon; Barzagli, Rugani, Chiellini; Alves, Lemina, Hernanes, Pjanic, Sandro; Higuain, Dybala. 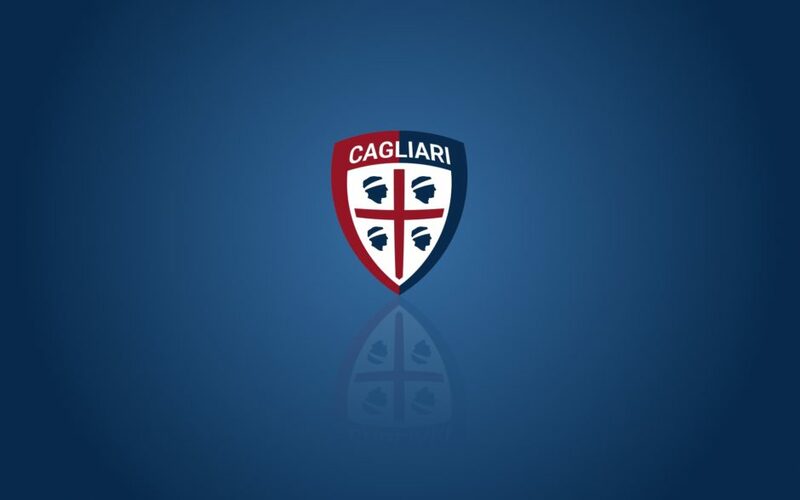 Cagliari have put together a very decent team and should be able to separate from other sad sacks and to avoid being involved in the relegation race late in the season. 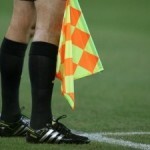 In a fashion very typical of the low-table team, they struggled in the two road games, against Genoa and Bologna who are not the strongest opponents in the world, while they had two glorious performances at home, first coming back from 2-0 against Roma and then dismantling Atalanta with a 3-0. They actually try to play well and create chances, but this has backfired in the away matches and against Roma because they have a very slow and fragile defence: the strikers Marco Borriello and Marco Sau had a hot start, but they can not always outscore the opponent. In the last game they recovered one of their best player, Joao Pedro, who was sidelined by a serious hamstring injury late in the preseason. The Brazilian attacking midfielder unleashed hell on the Atalanta backline and has always had a knack for scoring even when he was a more obscure player. The diamond formation of Massimo Rastelli relies heavily on the production of the player in the hole and last season Pedro delivered big time. 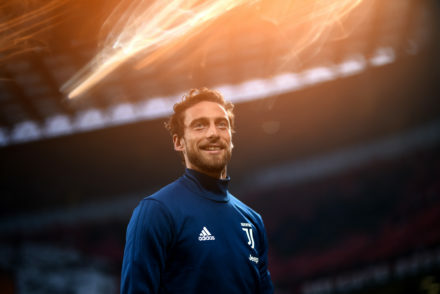 However, Juventus could catch a break because he might not start considering that he was pulled early in the last game because he was fatigued and it would be his second game in three days after not playing for forty days. They will be particularly thin in the midfielder: Artur Ionita shattered his fibula against Bologna and will miss a good chuck of the season, while Mauricio Isla, who moved up in the last game, will miss the Juventus game. Daniele Dessena is also out after last year’s gruesome injury. So they have two holes to fill: at right-back and in the midfield. As for the first one, it will be one between Fabio Pisacane, Luca Bittante or the CB Luca Ceppitelli sliding on the flank. In the midfielder, the coach can choose between the veteran Gianni Munari, Panagiotis Tachtisidis or Nicola Barella, who could also play more advanced if Pedro can not go. At times in the first couple of games, they used 3-5-2 to be a little more conservative, but it has not really worked out and it distorted the team, but of course it could be an option in a tough road game. It could be a trap game: Cagliari came away from Torino with points in five of the last eight encounters and scored in six of them, so they must not be taken lightly. The hope is that Juventus will answer the wake up call after the Inter game. 4-3-1-2: Storari; Pisacane, Alves, Ceppitelli, Murru; Munari, Di Gennaro, Padoin; Barella; Sau, Borriello. Ionita (fibula), Isla, Dessena (fibia), Farias (calf).